Le Blanc Spa Resort is an adults-only haven that perfectly blends the elements of beauty, luxury and tranquility, creating an ideal atmosphere in which you can totally immerse yourself in and release all of your worries. 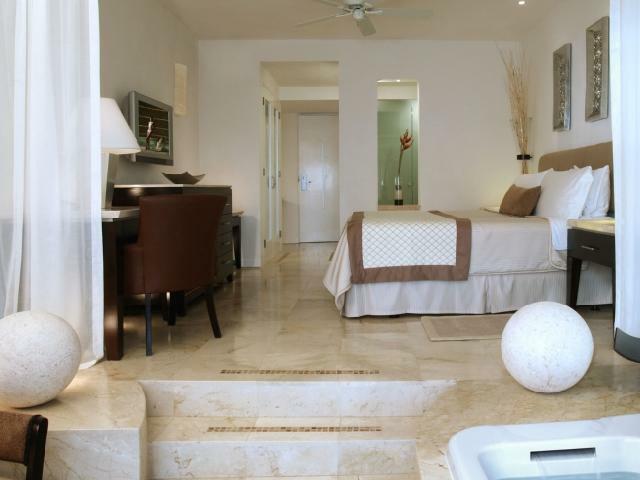 Palace Resorts is proud to announce the launch of its luxury hotel brand, Le Blanc Spa Resort. 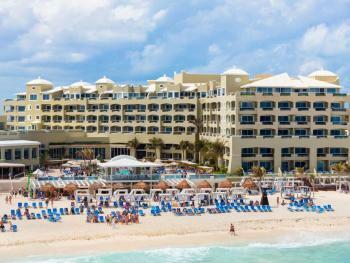 Newly renovated, this upscale Adults-Only resort debuted in Winter 2005. 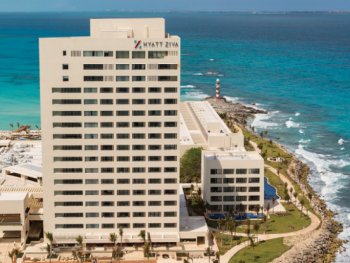 This resort is located in the heart of Cancun's hotel zone, within walking distance of exciting nightlife, shopping, restaurants and attractions. 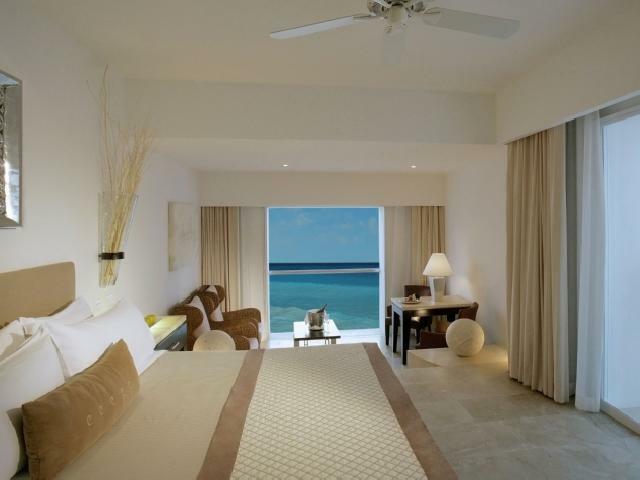 Everything about this hotel exudes luxury and tranquility. 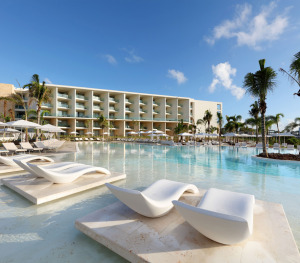 From your freshly prepared coconut welcome drink, to the calming all-white decor, guests will find themselves pampered in the most high-end luxury resort in all of Cancun. Given the prestigious 5-diamond award, this hotel is known for its superior service, amazing spa and fabulous fresh meals at their 5-star restaurants. 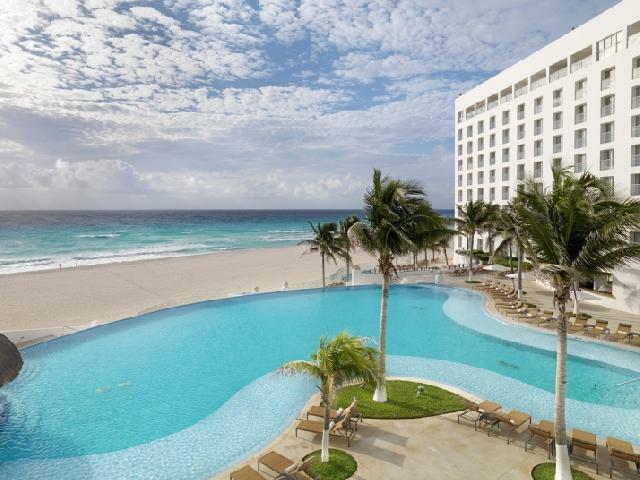 Take a swim in the infinity pool, lagoon pool or the beautiful white sand beach on the Caribbean Sea. At the Le Blanc, a world of luxury awaits you. Bottle of sparkling wine, small fruit platter, flower arrangement, keepsake honeymooner bathrobes, nightly petit fours and beach bag. Dates & restrictions may apply. Adults Only 18 & over. International buffet for breakfast and lunch. Gourmet a la carte for dinner.